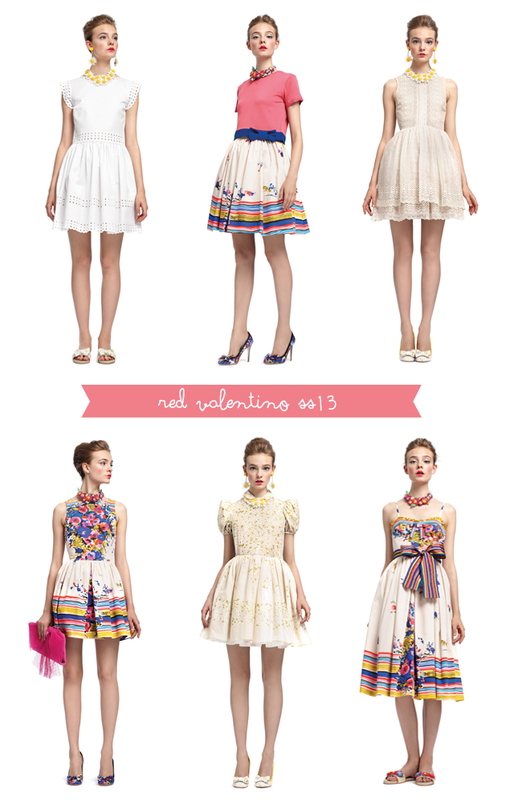 In true Valentino style, the new Spring/Summer 2013 collection from Red Valentino is undoubtedly romantic, feminine and fresh. The stunning collection mixes different influences, leaving room to experiment with couture and give it an edge. There's a variety of prints seen through-out the collection, but to no surprise, my favourite would have to be the floral prints. Oh, how I do love a pretty floral frock.